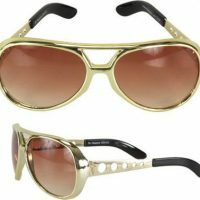 Premised on classic Elvis style sunglasses design, but funkified into the modern age! 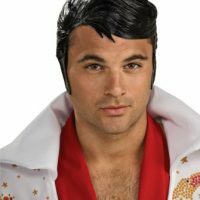 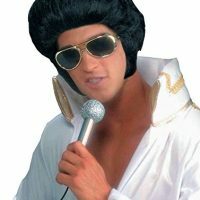 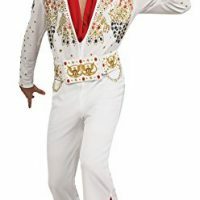 Awesome sunglasses with UVA and UVB protection – These are NOT ‘costume quality by any means’, but do go very well with all kinds of Elvis and Rock Star costumes and the rest of the accessories that we carry in our store. 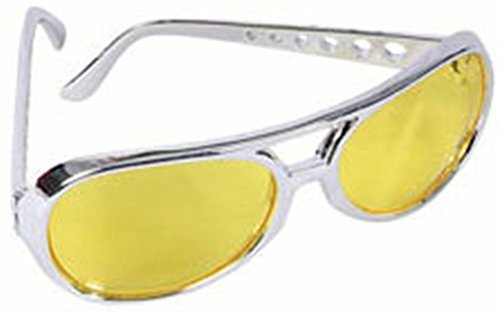 Be the first to review “Yellow Lens Silver Frame Elvis Aviator Rocker Glasses” Click here to cancel reply.